Only available for lenders and their agent partners. Stay top of mind with your clients without lifting a finger! nest.me is a home search tool done right. We help your clients find their dream homes with a match score that reflects what they want and don't want in a home. 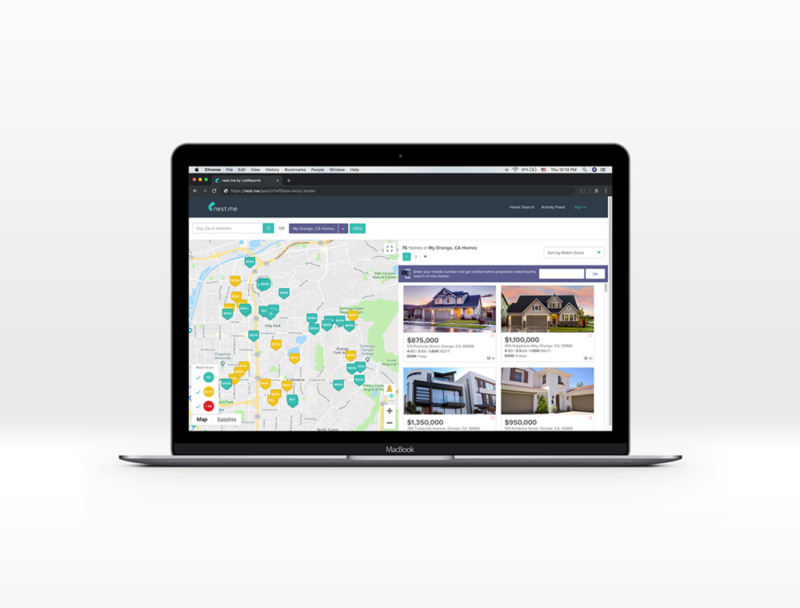 nest.me is also connected with our Just Listed and Just Sold text alerts, an automated system that informs your buyers and sellers of homes they may be interested in. Add your leads into your dashboard and set up the parameters for your alerts. That's it! ©2019 ListReports, Inc. All Rights Reserved. This website is intended for use only in the United States of America (USA) by lawful residents or citizens of the USA. All other use is prohibited.